Wilkinson Bullough was one of the oldest farms on the moors. 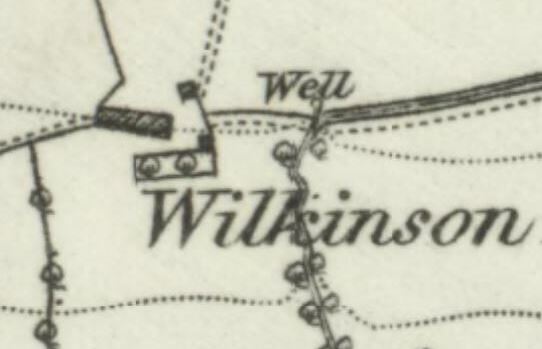 We know that Wilkinson Bullough was standing at least as early as the year 1626, along with the other ancient homes of Jepson’s, Higher Bullough (Manor House) and Stones House. The property was at this time written into the will of a John Bulhaugh. In 1757, the farm covered 27 acres, and this was consistent for another 100 years. DA Owen’s sketch of Wilkinson Bullough is invaluable. 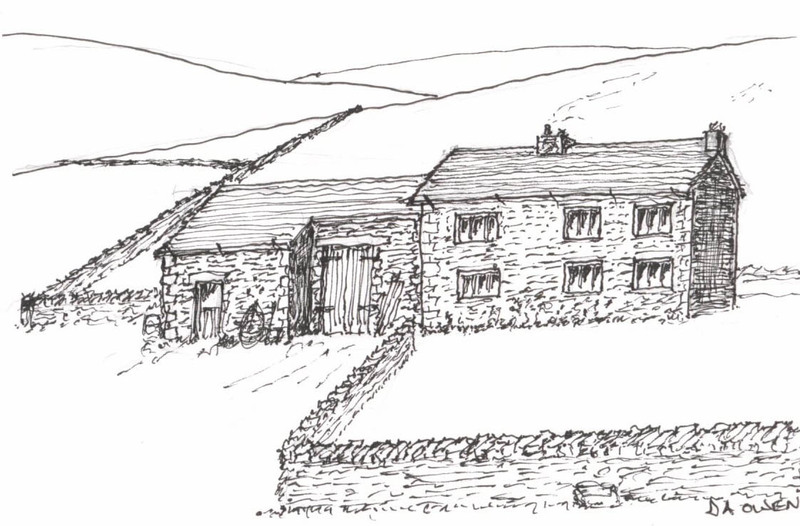 In 1851, this property had handlooming as a secondary occupation for the farmers living here. It wasn’t without crime on the moors, and on 30th November, 1872, it was reported in the Chorley Standard that Richard William Entwistle was sentenced to six months for breaking into WIlkinson Bullough, when it was owned by a William Marsden, farmer. Entwistle stole a blue coat, a black cloth vest, handkerchiefs, one pound of butter, and a pound of sugar. Nine years later, the property was shown as unoccupied, but it was lived-in again in 1881, although the rents had dropped by 60%. By 1936, the farm was ruined to the point that a large elder tree was growing up right through the centre of the house. As with Old Rachels, Stoops and Coomb, this was said to be a large house the the barn being joined to the house as an extension. It was possible until relatively recently to trace the general outline of Wilkinson Bullough, and this design was known as a longhouse. It is not known whether it had a cross-passage, (that is, a passage that links the front and rear doors) although DA Owen’s sketch above doesn’t show any real front entrance. The longhouse style is not reckoned to be particularly common in the West Pennine Moors generally, presumably as it offers little shelter from the prevailing winds.